Julie, Your paintings are wonderful. 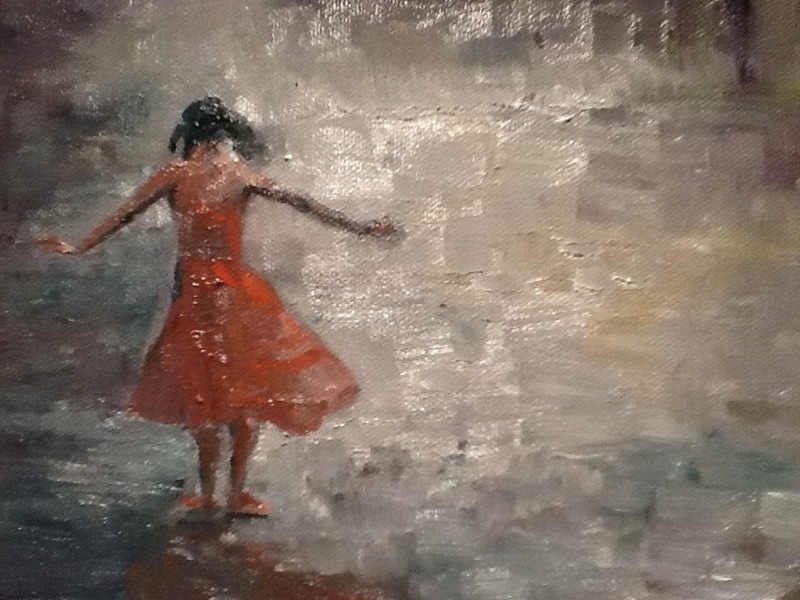 Love this one, Julie–reminds me of my little girl in the yellow raincoat! The look does show fun and wetness. Good use of oil. I love the way your paintings erase the dreary feelings of a rainy day and replace them with richness, depth, and a sharp color clarity that generates energy. THANK YOU!